When you’re a pregnant wedding photographer, shooting weddings in the second trimester is typically the easiest for most wedding photographers. The second trimester of pregnancy typically is the most enjoyable of the trimesters. Your baby bump is still small enough that you’re moving with ease, the morning sickness typically lets up and the exhaustion has been replaced with energy! Yeah, honestly – energy! Enjoy it… it might be the last bit of energy you’ll have for a few months. There are a few classic pregnancy symptoms that can affect you while working and while not everyone notices them right away at the beginning of the second trimester, they do often creep up by the end. If you’re shooting weddings in the second trimester be on the lookout for some of these symptoms and how they might affect your wedding day. Backache. Oh the joys of having a little baby growing inside of you. You’ll notice that your back starts to get sore faster during a wedding day and that soreness may linger around longer than it did before. Having an assistant to help carry heavy gear really helps. Being aware of what camera strap you’re using can also help alleviate some back pain. I personally preferred the Holdfast moneymaker as I found it distributes the weight of the gear really effectively AND it didn’t go across my chest as tender breasts and camera straps don’t mix! Congestion and Nosebleeds. This was me; I was the nosebleed queen during my pregnancy. Every. Freaking. Day. And when my nose wasn’t bleeding? I was so congested I thought I had allergies. Keep a lot of little Kleenex packages in your photo bag – it’s very handy! Frequent urination. You’re going to need to pee. A lot. If it hasn’t already started, it gets more and more intense throughout the second trimester. If at all possible, scout out bathroom locations during the wedding day and don’t be afraid to use the washroom at the brides house and grooms house while they’re getting ready and even asking for directions to the washroom at the church too. When you gotta go, you gotta go! Heartburn. If you don’t experience heartburn, consider yourself lucky! I felt like a fire breathing dragon during my pregnancy. Even the simple task of bending over could induce heartburn. I had to be hyper aware of my positioning when I was shooting weddings in the second trimester because picking up gear or trying to go in for a low-angle shot as I often needed to pop a Tums afterwards. Oh yeah, Tums. They’ve gotta be in the photo bag – right next to other important things like batteries. Tums are that important. Varicose veins. I lucky escaped the dreaded varicose veins but many women do suffer from this. Getting compression stockings can certainly help with varicose veins – so talk to your doctor about that if you see them starting to creep up. It can be very uncomfortable to have varicose veins while having the physical job of shooting a wedding for 10+ hours. A wee bit of swelling. Don’t be afraid to put your feet up at the reception if you notice that your ankles are getting wider by the hour. I personally find that having an assistant from the minute you get pregnant is great but that by around week 20-22, having a second shooter with you is even better. If you need to take a wee bit of time to put your feel up and let the swelling go down then your second can cover the events briefly. Also, don’t forget that when you get home from your wedding you’re going to want to get those tootsies into some cold water and then elevated to help decrease the swelling. Yes, you can upload your cards while you’re doing that – but don’t forget to take care of yourself once you get home! Leg cramps. If you’ve had pregnancy leg cramps before, you’ll know that it feels like a charlie horse x10! Why would my body do this to me? Leg cramps are just the worst and it’s almost impossible to work through them. You simply have to stop and rub out the cramp. 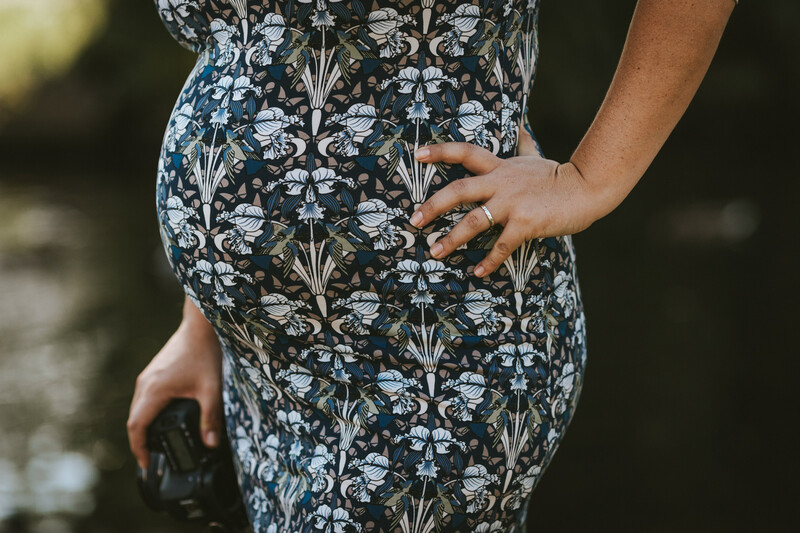 Shooting weddings in the second trimester is typically the easiest trimester out of the whole pregnancy; but that doesn’t mean that you can forget that you’ve got a little baby growing inside you. Put the steps in place to take care of yourself as well as your clients and don’t forget – if you’re ever concerned that your job is too hard on your body or on the baby, talk to your doctor immediately!